There are approximately 105 species of snappers alone. 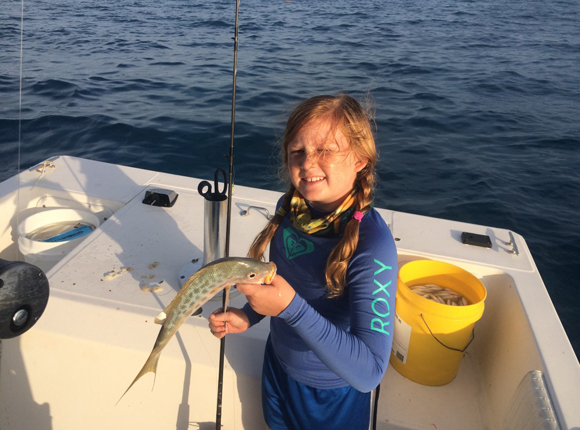 These fish can be found in abundance throughout the tropics, and for snapper fishing Key West is one of the best places you can visit! Active fish with elongated bodies, sharp canine teeth, forked tails and large mouths, these carnivorous fish can be 2 to 3 feet long! Most snapper species are considered valuable for food, and if you ask any Key West local, the yellowtail snapper is the favorite fish to eat! First found in Massachusetts, yellowtail snappers’ normal range is along Florida, to the West Indies and on to Brazil. They are most abundant around reefs and other structures, in 30 to 120 feet of water, but that isn’t where snapper fishing ends for anglers trying their luck in the Key West waters! 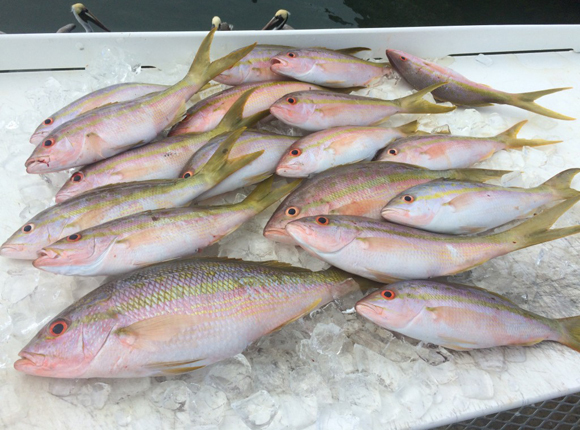 The mutton snapper is quality food, as well as quality game! They are found in depths between 80 to 310 feet, and the adults are abundant near reefs. This almond-shaped fish, whose flesh is often sold can put up a fight and provide a challenge for even the most experienced angler! Mangrove snappers are another fun fish to go after when snapper fishing Key West and beyond. Mangrove snappers are a grayish red snapper. They are often referred to as gray snappers and can weigh as much as 44 lbs. Most are under 16 inches and 3 lbs, though. This species travels freely from the Gulf of Mexico to the Caribbean, showing off their strong jaws, upper canine teeth and dark or red-bordered dorsal fins. For a small fish, they put up a struggle, until they are pulled to land. Then these fish produce sweet, firm and flaky white meat! Good for sport and good for dinner! Book Your Snapper Fishing Key West Trip Today! For the best snapper fishing Key West can provide, trust the well trained expert crew at Captain Moe’s Lucky Fleet! We have the best fishing charters in Key West to choose from. We also offer $50 off your rate if you mention that you found us on the Internet! Call Captain Moe’s today or contact us online to begin a real snapper fishing adventure!